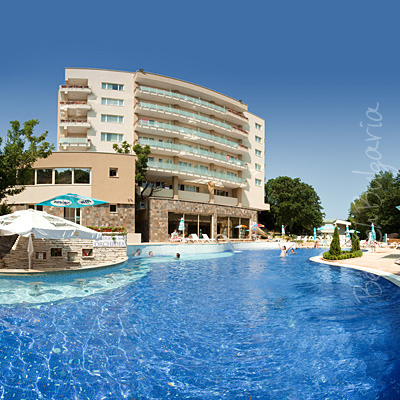 Riviera Holiday Club is located 17 km from Varna, close to Golden Sands resort. 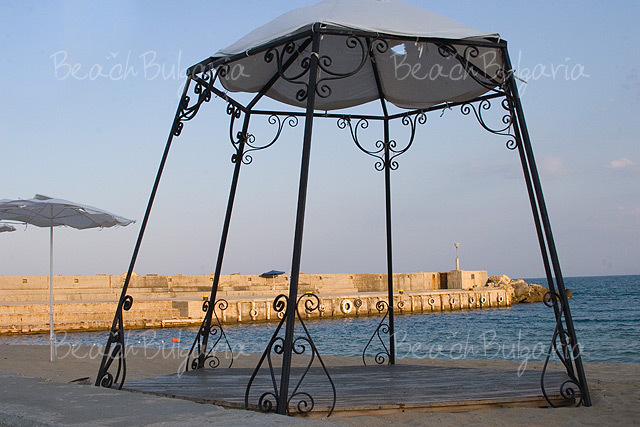 Riviera is a wonderful combination of mild sea climate and modern balneological treatment opportunities. 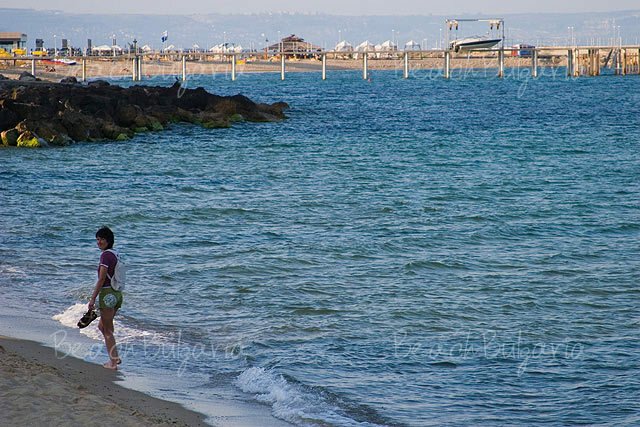 During the summer months the beaches of Riviera have very few people, while the neighbor ones of Golden Sands are full of people. Riviera holiday club consists of 5 hotels of different categories hotels, which are located on the beach, in a nice and quite park. Riviera offers excellent facilities for water sports, relax and business tourism. 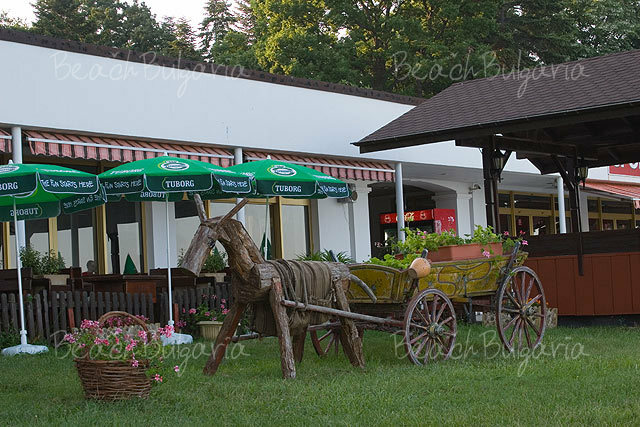 Riviera Holiday Club is situated on E-87 international road, 17 km north-east of Varna, and 27 km from Varna international airport. 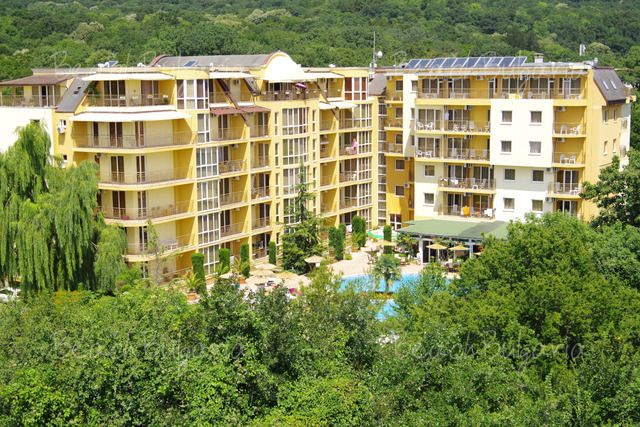 Riviera Holiday Club is in close proximity to Golden Sands resort. Both resorts are located within minutes walking distance from each other. 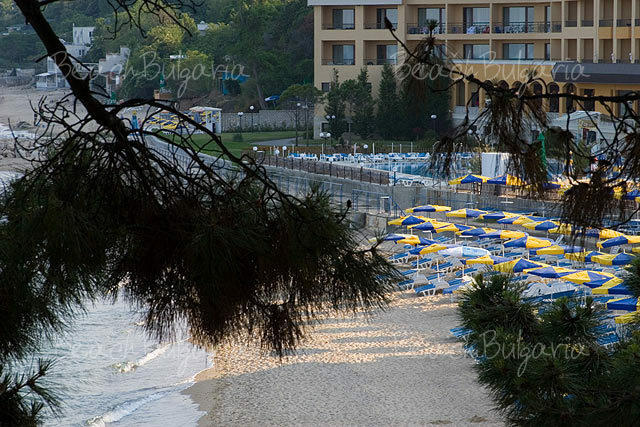 Riviera Holiday Club offers all necessary facilities for a perfect summer vacation, a quiet weekend on the seashore, a successful business event or a relaxing SPA holiday. 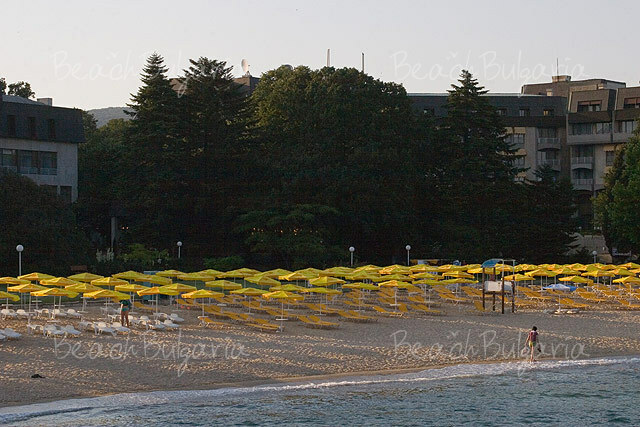 Riviera offers a combination of mild sea climate and modern balneological treatment opportunities. In summer the beaches of Riviera do not have many people, whereas the neighbor ones of Golden Sands, for example, are crowded. Riviera holiday club includes 5 hotels of different categories: Imperial hotel, Riviera Beach hotel, Lotos hotel, Oasis Boutique hotel and Nimfa hotel (check them on the left part of the page). 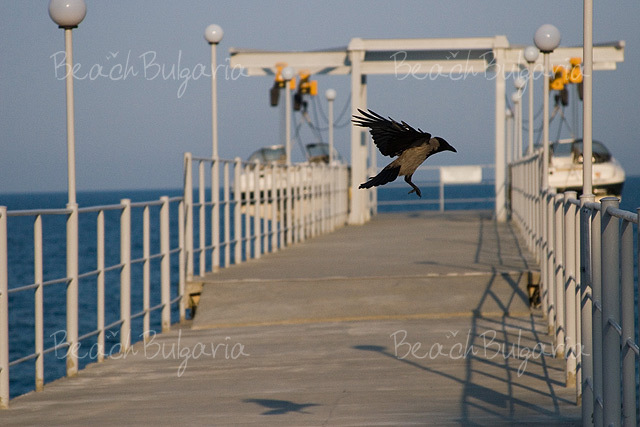 The hotels are located in a quite park close to the beach. Riviera is the ideal place for family holidays offering comfort and quiet atmosphere. The property features 10 restaurants and a variety of options for entertainment. Riviera resort offers excellent facilities for water sports, touring events, animation events for adults and children. It features two indoor sport centres and two sea sport centres; three tennis courts, two SPA & Wellness centres. 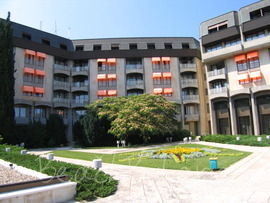 The complex offers excellent environment for conferences and business meetings. At business guests' disposal are 2 business centres and 13 conference rooms. We stayed in this lovely hotel in June this year. When we arrived we were upgraded to a suite and it was great. The food at breakfast was smashing a good range of choices too. We also ate in the restaraunt at night and the service and food were wonderful. We will definately be back. We returned to Nympha Hotel for a second time and found the Hotel to be just as good as last year. However I am sorry to say that we will be unable to return next time as from this season the gate that leads out onto the little roadway and on into the centre was locked and we were told that we would have to walk 15 minutes inthe opposite direction and then another 15 minutes back again to get to the gate which is just a few strides away from the hotel steps. As there were a lot of elderly people with walking difficulties this proved to be most distressing for them. However after a lot of complaints they actually opened the gate at 7-00pm untill 11-00pm which they said was all they could do.I do hope that they resolve this matter in the near future so that one day we may be able to return. Stayed in Nympha Hotel in June 2007. 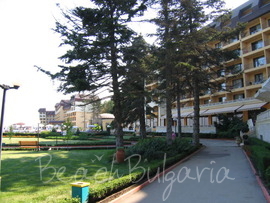 Been going to Bulgaria for 17 years and this was the best Hotel and location ever. Looking forward to 2008 to go back again. The Riviera Hotel is fantastic. Definately a 5 star hotel! I would highly recommend it. The rooms were lovely & spacious with a large sea view balcony. Clean sheets every second day. The buffet food was delicious - a good choice for everyone. The staff were friendly and willing to help. The swimming pools were kept very clean and there was enough sun loungers for everyone. Had its own private beach.What they do not tell you in the brochure is that the hotel provide you with beach towels every day. The only negative is that there is not a lot of evening entertainment but the town is literally 5 mins walk from your hotel, where there are numerous bars,restaurants, clubs - even a very large casino so there is plenty to do. I would definately return for another visit. Have just returned from a great 2 weeks holiday. The hotel facilities were of a very high standard and the staff were polite and helpful. Food was great, got to try a lot of things that i had not had before. I would recommend this hotel to all my friends. I will be booking for next year. the hotel was excellent and the staff were very kind and understanding. Please send me the prise list. I can not find on your web page. Please, post a comment on Riviera. Riviera Holiday Club offers all necessary facilities for a summer vacation, a quiet weekend on the beach, a successful business event or a relaxing SPA holiday. Contact us for more information, hotel bargain rates and online bookings.